Front: No collared zippered front closure. Sleeves: Full end standard no cuff sleeves. Pockets: Two waist side zippered pockets. A lightweight jacket for season changing weather is most actively seeked by women. A plus is when you can get it in genuine leather with good polyester inner lining. 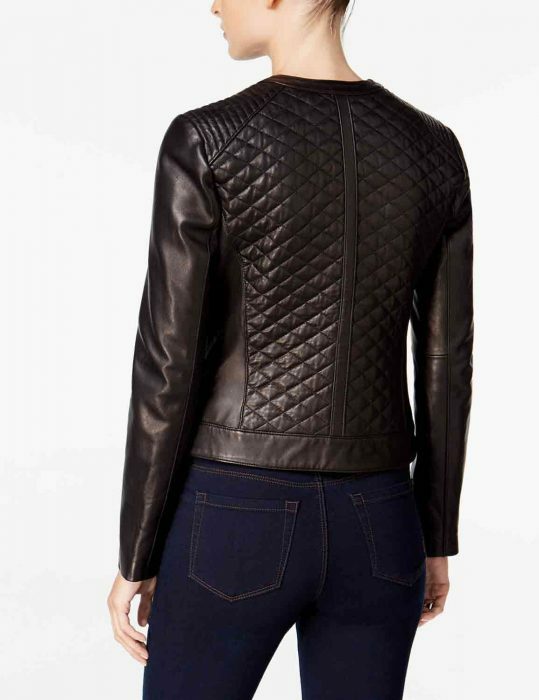 Well, our Quilted Bomber Jacket For Womens, offers you the very item you are searching for! The chocolate brown bomber quilted jacket, with its unique style of a quilted front and no collared and no cuffed full sleeves offers something which will other women envy you! 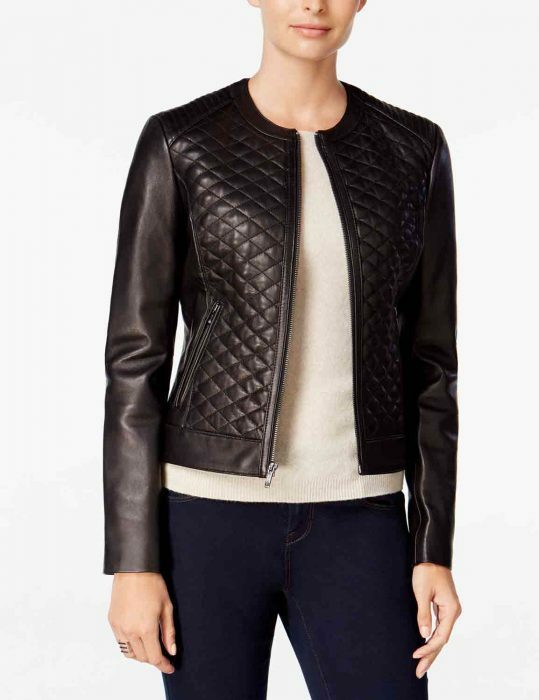 The Quilted Bomber Leather Jacket for Womens, has a full end zippered front closure along with two zip waist side pockets that can hold your carry able essentials too. So purchase our imported and branded women quilted bomber jacket at once!